Does Botox Affect Our Ability to Empathize? While a new study finds thatÂ Botox injections may inhibit your ability to read othersâ?? facial emotions, the researcher did admit that it’s a fairly subtle effect. Published in Social Psychological and Personality Science, the study found that people who had Botox injections were significantly less accurate at reading othersâ?? emotions in photos compared to those who hadÂ Restylane injections. In the study, women who had their facial folds treated with Restylane were able to read others’ emotional states with about 77% accuracy, while those who had Botox had 70% accuracy. Why would Botox have this effect and not other fillers? According to Neal, evidence suggests that people use mimicry to register and labelÂ the emotional states of others, so something that limits one’s ability to reproduceÂ another person’s expression of emotions, such as Botox which has a paralyzing effect on facial muscles in the immediate vicinity of the injection site â? ?Â would likely impair oneâ? ?s ability to register or label those emotions. Andrew Jacono, MD, a facial plastic surgeon in New York City who reviewed the study, said that the findings likely only apply to those who use excessive amounts of Botox. When Botox is overdone, it doesnâ? ?t look right and people arenâ? ?t perceived in the right way, Jacono said. â? ?The goal is to try to make sure when you get Botox, it is done in a subtle way so you can look better and maintain your ability to emote and read others. cosmetic benefits they may provide. Products like Juvederm and Restylane can effectively restore facial volume and reduce wrinkles, but are these treatments comfortable? Fortunately the answer is yes, thanks to anesthetics. Today, many non-surgical facial procedures can be done with little or no discomfort, thanks to local anesthetics that numb one or more areas of the face beforehand. Just as your dentist uses lidocaine as as a quick and simple way to numb the mouth prior to dental work, cosmetic surgeons use it as local anesthetic for injections of dermal filler. It blocks the pain signal sent by the nerve endings on your skin. You quickly feel the anesthetic taking effect and numbness kicks in. 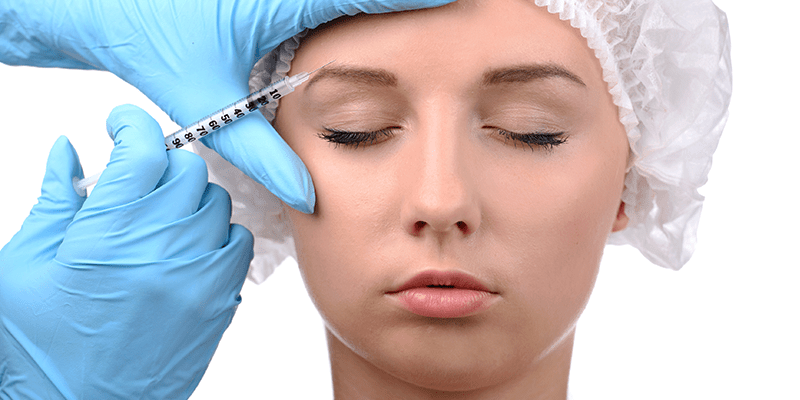 Officials from the Food and Drug Administration met in November with a group of outside experts to review complications that have been reported in association with cosmetic dermal filler injections. Over the last six years, there have been roughly 900 reports of wrinkle filler issues. Juvederm, Restylane, Radiesse and other new offerings are products that fall under this category. The group will discuss the possibility of labeling changes and the seriousness of the reported issues. Is this a reason to be concerned about dermal filler safety? Yes and No. It may sound alarming to those outside the surgery profession, but the complications and side effects associated with these products are still extremely rare. Demand for fillers and wrinkle reducers like Botox has risen dramatically, leading many untrained persons to believe that they can administer them in non-medical settings. The majority of industry professionals will attribute most of the reported complications to issues like these. Safety and proper training is of the utmost importance when considering any surgical or cosmetic procedure, so we recommend that all patients seek a knowledgeable cosmetic surgeon with the right qualifications. For more information on the FDA panel discussion, the briefing is located here.